I have to be honest… I feel that this episode was THE MOST lackluster episode ever. I’ll try to recap it as best I can, but bear with me. Cynthia reminds us again that she is 50 years old and fabulous as she gives fan a peek at her assets during a sultry bath scene. 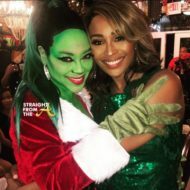 While basking in the glow of her 50th birthday celebration, the supermodel reveals she doesn’t want to spend her golden years alone at lake Bailey. On last week’s episode, the ladies all partied for Cynthia’s ’50 Shades’ birthday bash, but what wasn’t shown was that Cynthia was introduced to 2 men to jump start of dating journey. This week, Cynthia begins her date with Evan, a local photographer who has plans to add her to his portfolio. The date begins with a blindfold as Evan surprises Cynthia with a photo shoot… as if she hasn’t done enough of those! Needless to say, Cynthia doesn’t really seem to be feeling Evan. 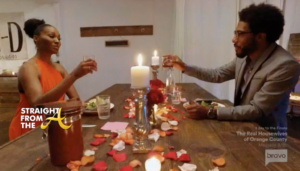 But he has another surprise… a romantic dining experience in the back room! 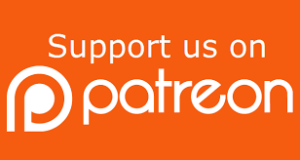 During their dinner, Cynthia discovers that Evan is a lot younger than she was told (he’s 29) and it’s crystal clear that Cynthia isn’t game for dating someone 20 years her junior. Welp… I guess it’s on to the next one for Ms. Bailey. Iyanla couldn’t ‘fix’ Sheree’s life, but maybe Jack Daniels can. Whitfield meets with her life coach who coincidentally is named after the world’s most well-known whiskey. 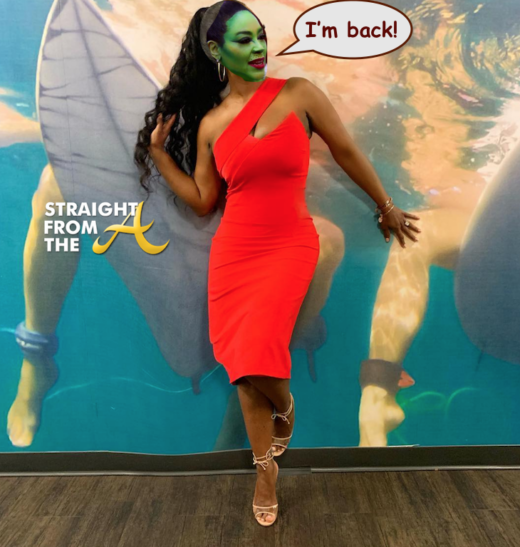 It seems that Sheree wants to find a way to move forward from her past, i.e. Bob, who she insists was abusive to her during her marriage and Jack Daniels is there to show her how. 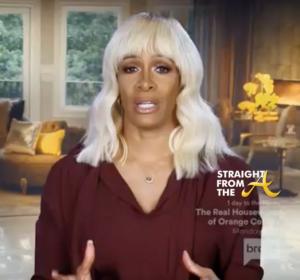 Now, I’m not one to gossip, so you didn’t hear this from me, but word on the curb is that Sheree is sticking to her story to ‘stick it’ to her ex, whom she feels made her look like a gold digging idiot during their appearance on Iyanla Vanzant’s Fix My Life. Whatever the case, Whitfield is concerned with how she can discuss the situation with her kids about the incident that aired LAST YEAR, and asks for guidance. 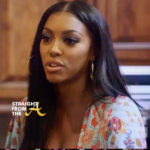 Porsha’s sister Lauren is clearly her new ‘Frack’ this season. The two have been filming a lot and Lauren seems to be present in just about every scene alongside Porsha. For the record, I don’t think anyone particularly cares where Lauren lives, but ok. Let’s all play along. 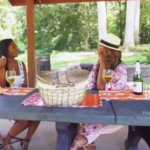 Kenya meets with Cynthia and the topic of discussion is still her questionable wedding. The newly wedded Mrs. Daly says she can barely believe how much her life has changed in just a few months. 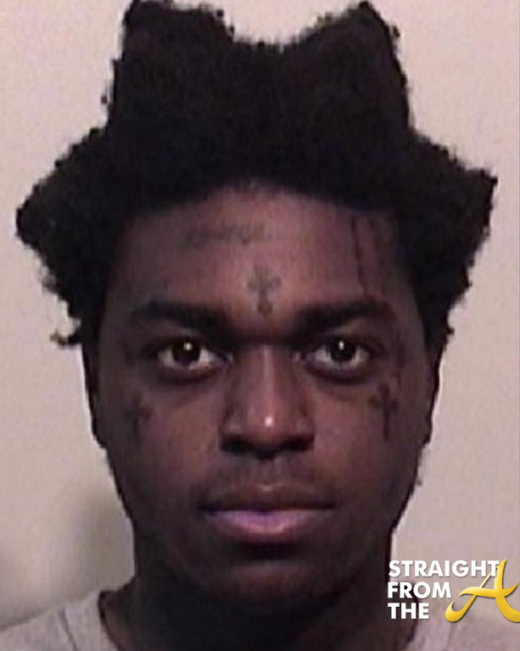 Did it really happen? Did I really get married? Did I really walk down the aisle? Clearly Kenya is asking the questions we all want to know. But I digress. 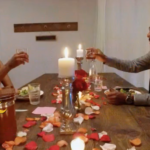 Kenya tells Cynthia how she met her husband through Chef Roblè, who spoke of her future husband with so much excitement, that Kenya thought to herself, “I want a man like that”. Kenya says she wasn’t in a good head space with they met, however she ‘did the work’ (as Iyanla would say) and copped a man. Moore says her new husband is everything she prayed for and more, which is why she wants to ‘protect’ him from the angry internet. 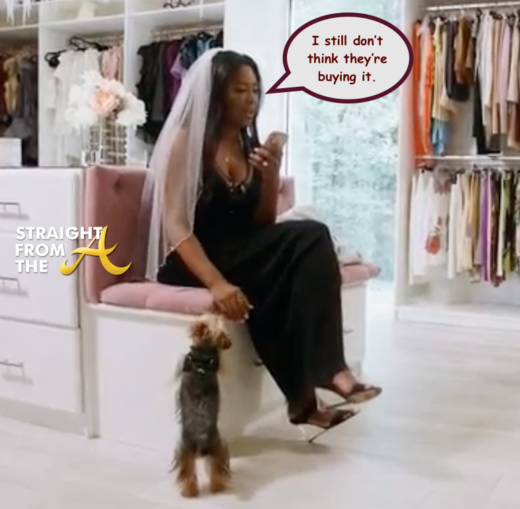 Kenya also shares her concerns with her friend Brandon during a scene at Moore Manor where she abruptly ends the scene after she gets emotional about her wedding. “He did not sign up for the crazy, he signed up for me,” Kenya tells her friend. 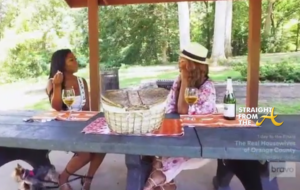 Kenya then has a tearful conversation with producers about how the pressure is getting to her new husband. 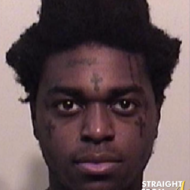 He can’t eat, he can’t sleep and random ex-girlfriends are sending him intel on his new wife. It’s almost like he didn’t know she was on a reality show when they met. Still not buying it. But I’ll play along for now. 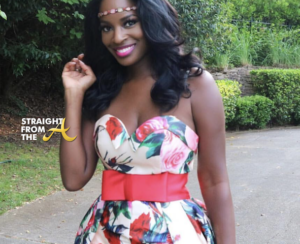 Shamea Morton is preparing to marry her African prince and the ladies all attend her lavish bridal shower. There are several shady moments that occur during the event. The first shady moment occurs when Porsha arrives. She heads straight for Sheree (who is rocking a new blonde wig) who she thought was Kim Zolciak. 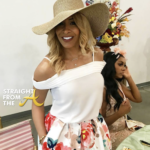 The next shady moment occurs when Kandi decides to leave the table. 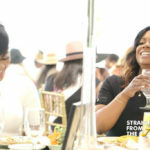 Porsha and her sister, Lauren sit down and utter a few lighthearted hellos to the group, however Kandi immediately rolls her eyes and tips off. When Kandi returns, she brings her BFF Carmon as backup. 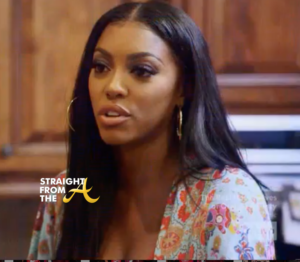 Porsha tells Shamea she won’t be traveling to Africa for her wedding because of health reasons (she even brought a note from her doctor) and during their conversation another shady moment occurs as Carmon can be heard telling Kandi that Porsha can travel for long periods with her legs down because she’s so used to them being raised up in the air. 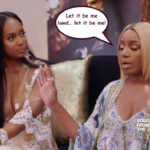 The episode ends with Shamea and Porsha discussing how ‘Frick & Frack’ broke up their friendships because Porsha put Phaedra before her. 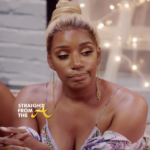 Porsha again plays the victim and it seems like she’s lost yet another friend as Shamea calls her out about her actions. Noticeably absent in this episode: Nene Leakes. 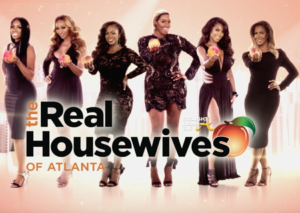 What did you think of this week’s episode of The Real Housewives of Atlanta?